This post was originally published on mmarley.com and was republished with permission. Whether you love it or hate it, Instagram is now a huge part of everyday life, seemingly going from strength to strength on a daily basis, and that trend looks set to continue for the near future. With a community of more than 400 million users it’s become one of the worlds largest and most active social platforms where both individuals and businesses can share stories through images and videos with a highly engaged audience. With over 80 million posts per day and a predicted forecast of $2.81 billion in ad revenue by 2017 Instagram has become an essential element of social media marketing. While other popular social media sites like Facebook, Twitter, and LinkedIn each serve their own purpose, Instagram is a platform where you can engage with your audience through visual content and show your company’s personal side. After the users come the brands, and with an adoption rate of 85% among the worlds top brands Instagram has cemented its spot as one of the top social platforms for business. In a study conducted by Forrester they dubbed Instagram “the King of social engagement.” with the latest engagement stats showing that the platform receives 58 times more engagement and interactions than Facebook and a whopping 120 time more engagement than Twitter! The research also showed that marketers and brands are rapidly embracing Instagram, with use of the platform set to double in 2016 . 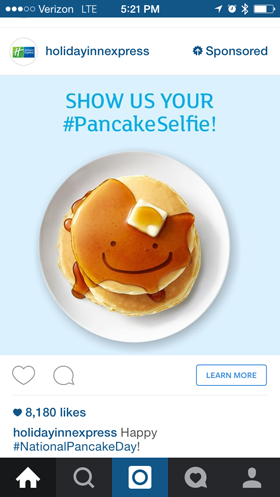 Instagram offers a unique opportunity to businesses looking to reach their target market with engaging visual content. There are so many companies getting it right, using this platform to share their brand’s story, their background, and their vision. In this post we will outline 9 tips to boost your engagement on Instagram based on how some of the the world’s top social brands are driving their success. You can use these tactics to grow your followers, encourage interactions and increase brand awareness. Let’s face it, one of the main reasons why people want to increase their Instagram engagement is so that they reach more people, gain more followers, and hopefully gain more interest and custom, for their business. A call to action is a great way of increasing your engagement on IG, yet for some bizarre reason, people often overlook it. A call to action is basically your way of encouraging people to interact with you and your post. For example, simple calls to action may be something like: “don’t delay, place your order today”. On IG for example, you could include an image of some of the different products that you offer, and could include text on the image, or in the caption, asking viewers to “double tap for their favourite colour”. Another great way of increasing engagement via calls to action is asking viewers to “tag a friend that would love this”. That way, more people will be tagged, and more people will see your post. On IG, people from all across the globe will be able to see certain posts, based upon certain hashtags that are used. If a person is into health and fitness, IG will suggest posts that they may like, based upon health and fitness-relevant hashtags. In order for you to reach as many people as possible, you must make sure that you use relevant hashtags to your business and posts. Say for example, your business is based around clothing and fashion, whenever you make a post, make sure that you include as many clothing and fashion hashtags as possible. That way, you know that the people who see your post, will have an interest in clothing and fashion, which of course allows you to reach your target market. As well as hashtags relevant to your business, you should also include a few hashtags that are simply popular on IG. Tags such as #instadaily #igers #picoftheday, and #instagood are great examples. You can search online for the most popular hashtags on instagram, and as you can use as many as 30 tags, make sure you use them wisely. Tip: Use Iconosquare to find popular hashtags! Some of us aren’t as great with technology as others, and because of this, something as simple as having your account set to private, could be costing you dearly. If your account is set to private, only your friends will see your posts. If it is an open account however, anybody on Instagram will see your posts. You can check in settings whether your profile is set to private or not, and if it is, simply slide the relevant icon button in the opposite direction, and hey presto. Let’s face it, we all look a good bargain and a freebie, and if you’re looking to increase your IG engagement, use this to your advantage. You could run a contest in which you encourage your followers to “like and share” your post, or “like our page and tag 5 friends to be in with a chance of winning”. Next up, you can select a winner at random, and provide them with a free product or any other prize that you deem fit. Tip: 3rd party tools such as Gleam.io and Wishpond.com make it easy to run sweepstakes, photo contests and Instagram hashtag contests that well help increase engagement with your followers. The thing that sets IG apart from other social media pages, is the fact that it is primarily based upon photo sharing. It is image based, and although a picture can speak a thousand words, that doesn’t mean you have to remain silent. IG has a caption length of 2000 characters, so in the caption, why not include relevant information about your post, and indeed, about your business. You could simply include an eye-catching image, and then below, include as much information as you wish. It could be about a contest, about a product, about your website, or anything else. Use the image to get their attention, and then use the caption below to say what you want to say. Another great way of really enhancing your engagement on IG, is to take the time to interact with other users. Again, sticking with the health and fitness industry, you can browse posts made by other people, that are also utilizing relevant hash tags. Just make sure that you come across as natural, as if you come on too strong or too salesy, you could actually force people in the opposite direction. For example, if you see a post you like, a simple comment such as “great post” would do just fine. If however, your comment looks more like a sales pitch or an advertisement, people are likely to avoid you out of principle. Chances are, that if you comment, they’ll click on your profile and check you out. If they like what they see, they’ll follow you, or like your image. After you’ve established your presence on Instagram with lots of content , share your posts on other platforms. This is an excellent way to encourage new people to follow you on Instagram. If you want to share your images on Twitter I would recommend that you use this IFTTT recipe, this will allow your image do be displayed in the Twitter feed as an image rather than just a link. In addition to sharing your Instagram account name or URL, give users a reason to keep coming back by sharing exclusive content they will only find on Instagram. So there you have it! These are just some of the ways that you can engage with your audience on Instagram. What do you think? 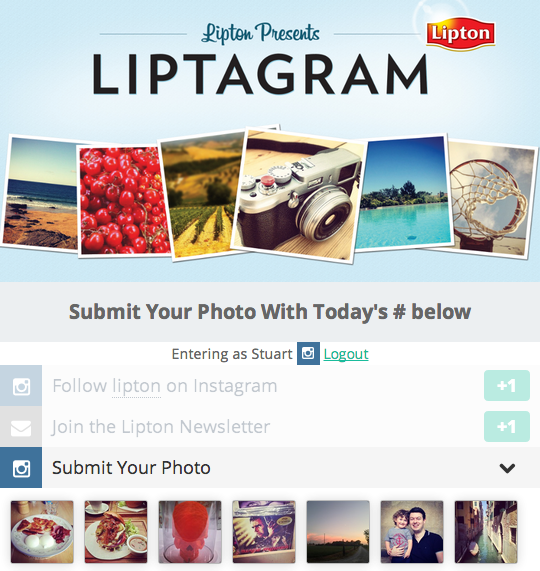 What do you do to engage with users on Instagram? What types of posts are most successful for you? What other Instagram tips do you have? Matthew Marley is a Social Media & Search Specialist from Glasgow Scotland with a passion for the web and emerging technologies.